Rabbi Marc D. Angel is Founder and Director of the Institute for Jewish Ideas and Ideals (jewishideas.org), fostering an intellectually vibrant, compassionate and inclusive Orthodox Judaism. He is Rabbi Emeritus of the historic Congregation Shearith Israel, the Spanish and Portuguese Synagogue of New York City (founded 1654), where he has been serving since 1969. Born and raised in the Sephardic Jewish community of Seattle, Washington, he went to New York for his higher education at Yeshiva University, where he earned his B.A., M.S., Ph.D. and Rabbinic Ordination. He has an M.A. in English Literature from the City College of New York. Author and editor of 30 books, he has written and lectured extensively on various aspects of Jewish law, history and culture. 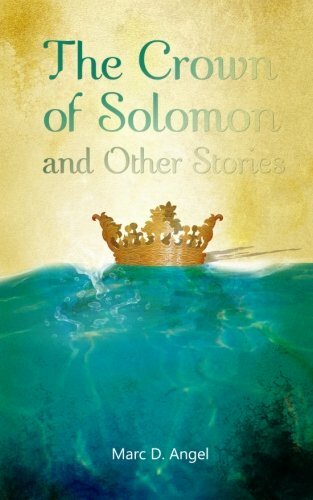 Among his recent books are Foundations of Sephardic Spirituality: The Inner Life of Jews of the Ottoman Empire (Jewish Lights, 2006), and Maimonides, Spinoza and Us: Toward an Intellectually Vibrant Judaism (Jewish Lights, 2009), both of which won Finalist Awards from the National Jewish Book Council. His novel, The Search Committee (Urim, 2008) also won wide critical acclaim. He has recently published a collection of thoughts on the Torah portion of the week, Angel for Shabbat 149 The Crown of Solomon and Other Stories (Institute for Jewish Ideas and Ideals, 2010), and Maimonides: Essential Teachings on Jewish Faith and Ethics (SkyLight Illuminations, 2012). He serves as Editor of Conversations, the journal of the Institute for Jewish Ideas and Ideals, issued three times per year. Rabbi Angel is Past President of the Rabbinical Council of America. He is co-founder of the International Rabbinic Fellowship, an association of Modern Orthodox Rabbis. He has served as officer and board member of numerous agencies, including the UJA-Federation of New York, the American Sephardi Federation, the Rabbinic Cabinet of Jewish National Fund, and the HealthCare Chaplaincy. He has won awards from many institutions including Yeshiva University, the Orthodox Union, and the New York Board of Rabbis. Rabbi Angel is married to Gilda Angel. They have three children and nine grandchildren.